It would be fair to say that, within fashion, I am the most keen on shoes. I see them as the way to top off any look – a way to dress it up or down, to give something simple the perfect vibe. And it would also be fair to say that I know what I talk about when it comes to footwear because I own quite (a lot) bit of it from a range of brands and designers. One of my biggest struggles is to find comfortable, light and breathable shoes for the summer that are not sneakers. Antoine + Stanley seem to have the perfect solution for this. The Australian brand founded by Paul Waddy in 2005 is now landing on the UK via ASOS. Their philosophy is to create traditional styles such as brogues, desert and Chelsea boots and loafers in premium materials. And they do so with an edge – bold colourful lines on the soles and contrast trims – which makes them perfect for the summer. Their models are great for pretty much any scenario: from picnic at the park to drinks on a rooftop to even a summer wedding. You can shop the collection online at ASOS. 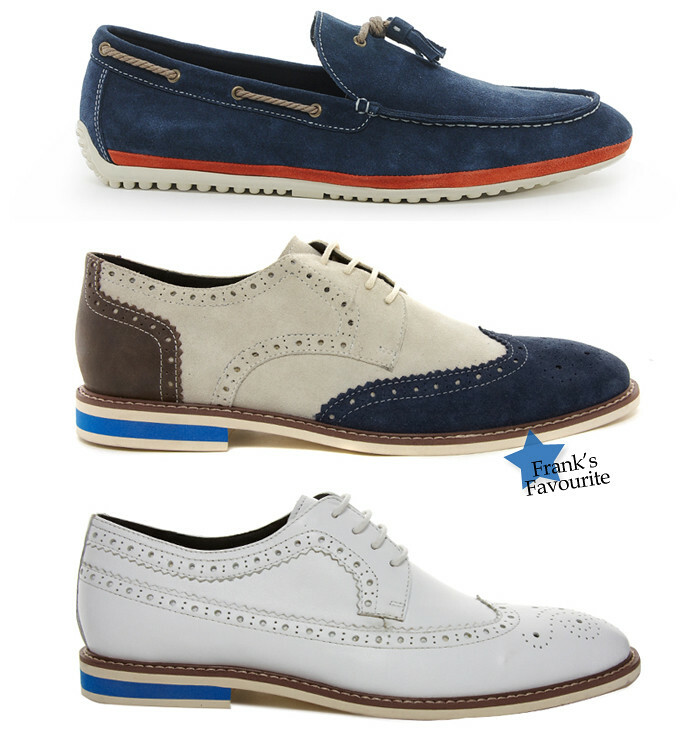 My favourites (see below) are the Smith loafers in navy, the multi-colour Ralph brogues and the white leather Hensel brogues. The latter were a style I always thought only Chuck Bass or Jay Gatsby could pull off but I am totally infatuated with these Antoine + Stanley ones!